Ivanka Trump has announced the decision to shut down her fashion company and instead focus her career on public policy for the time being. "When we first started this brand, no one could have predicted the success that we would achieve. After 17 months in Washington, I do not know when or if I will ever return to the business, but I do know that my focus for the foreseeable future will be the work I am doing here in Washington, so making this decision now is the only fair outcome for my team and partners." Ivanka Trump and her company have faced controversy over the past few years. 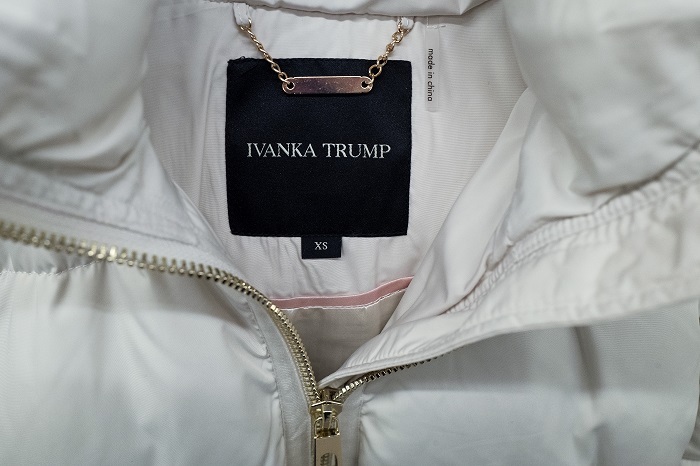 While campaigning for her father, she would often wear Ivanka Trump products during high-profile appearances, and she continued to retain ownership of her company even after taking a role advising her father in the White House. Despite the White House's promotion of America First and buying American products, 100% of the fashion line was made overseas until recently. Additionally, Trump's implementation of $34 billion in tariffs on Chinese goods spared Ivanka Trump's company. When Nordstrom announced shortly after Trump's inauguration that it would no longer carry the Ivanka Trump clothing line due to it not selling well, President Trump responded by tweeting that his daughter had "been treated so unfairly." Then, Trump aide Kellyanne Conway encouraged Americans to "go buy Ivanka's stuff" during an interview on "Fox & Friends." This resulted in lawmakers calling for a review as to whether this comment violated government ethics rules. Government watchdog group Citizens for Responsibility and Ethics in Washington praised the move to close her business, they also noted that it "comes much too late." The group's executive director, Noah Bookbinder added, "The ethics issues that arise from her ownership of the Ivanka Trump Brand also arise from her ownership stake in the Trump organization, and still more issues arise from her father's ownership of that business. If the Trump family truly cared about ethics, they would fully divest themselves of these assets – something they should have done before they entered the White House." Ivanka Trump is expected to address her fashion line's staff on Tuesday in New York. Ivanka's statement said, "I am beyond grateful for the work of our incredible team who has inspired so many women; each other and myself included. While we will not continue our mission together, I know that each of them will thrive in their next chapter."